In Summary: You actually feel like you’re along for the ride on this transition, vocally, lyrically and musically, it all draws you in to what ‘Luke’ has created. Some of you may know him by name, some may not, but I can tell you one thing, you’ve heard his work before. 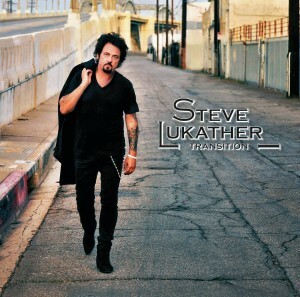 Steve Lukather has been touring for the best part of thirty six years with his band Toto (yeah, you know him now, right?) as well as with his solo work and as part of a number of touring projects, G3 and Ringo Starr’s All Starr band just to name two. So when it’s time again for Steve to release a solo album, I’m more than happy to take notice and see what the man who has played on over two thousand, yes you read that right, two thousand records has done. ‘Transition’ is now three years since the release of ‘All’s Well That Ends Well’ and pardon the pun, but the transition is noticeable. Steve has matured in not only his song writing but also in his vocal performance but what stands out is his guitar playing which is in a way calming to me, he doesn’t need to shred, he doesn’t need to show off, he puts feeling in to the songs and that to me is what music is all about. So to say the emotions of his transition are conveyed throughout the record you’d be bang on, and lyrically the album sees ‘Luke’ take on his life which once again gives you that feeling of knowing and wanting to be a part of what he has created. Take the opening track ‘Judgement Day’ for instance where he sings “Jump back, turn around you realize you’re running from your history…” that pretty much sums up what I think he’s aiming for. As you may know I’m a sucker for a ballad and ‘Once Again’ is most definitely a stand out on the album, and not only lyrically does it hit, the tone on the guitar in this track hits you too, very well written and produced in my eyes. My other favourite thing in a song is a good ‘Na Na’ and the next track ‘Right The Wrong’ delivers just that along with a ripping guitar solo but it’s the title track ‘Transition’ with its riff intro and keyboard stabs, this mostly instrumental piece, with some vocals late in to the song showcases the talent of the players on this album and is placed perfectly in the middle of the album. ‘And I won’t give up and I won’t give in even if I’m the last man standing…’ sums up the track ‘Last Man Standing’ which is another favourite of mine on this album I’m so very happy with so far. With only a few tracks to go I have just found a new favourite, this upbeat, song of hope ‘Do I Stand Alone’ is the most commercial sounding track on the album and could’ve come straight off Bon Jovi’s ‘Lost Highway’ album or Keith Urban’s new album, there’s a country-esque twang on the guitar and just that optimistic vibe and yeah, this is easily my favourite track on the album. 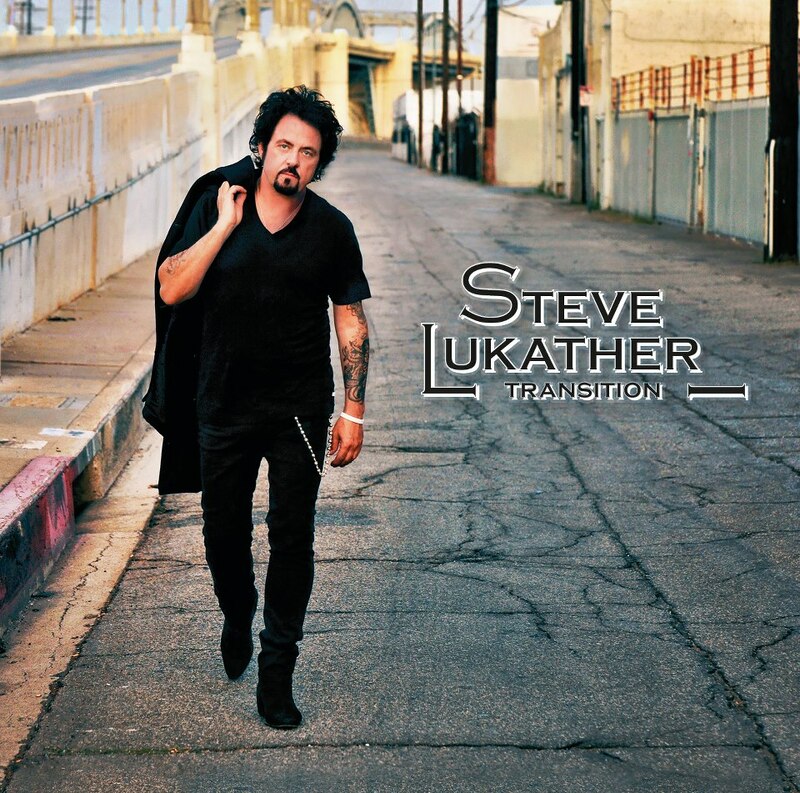 ‘Rest Of The World’ gets a bit bluesy and again shows the listener that Steve Lukather can do it all in ay style, hence why you’d say he’s so sought after by so many to play on their work. The album closer is an instrumental of the classic Charly Chaplin track ‘Smile’ which as Steve told me was recorded for his mother and you can just tell that every emotion was put into this performance, it is simply perfect and what a way to close a really impressive album. Steve’s vocals are great, his playing is greater and it’s just so awesome to know that he’s nowhere near done yet and cheers to that. Transition complete.